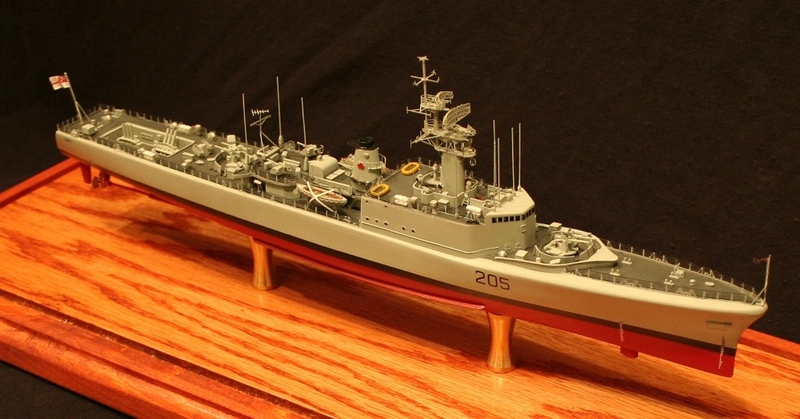 HMCS St Laurent in 1/350 Scale This Cold War era destroyer was the first class of warships entirely designed and built in Canada. This model was built for a client in Dartmouth Nova Scotia. Obsessions. We've all got one, and mine is scale models. People have always been fascinated by miniature replicas of real life objects; archaeologists have found model ships in ancient tombs that date to 3000 BC! My own association with scale models is a little more recent. I've been building them for most of my life, beginning around age 10. The first one was a Japanese Zero in 1/72 scale. Over thirty years later, I'm still at it. Primarily I build model ships and trains. I use a variety of techniques including scratch building, kit-bashing, and 3D printing to produce models that are detailed, accurate reproductions. Ontario Southland Railway RS-18 OSR 182, built for a client in Guelph ON in HO Scale. My Tiny Obsession is a "working hobby" that I do in my spare time. I've built numerous models for private individuals, corporate clients and museums. If you need a unique, customized model I may be able to help. I'd be happy to discuss your project and provide you a quote with no obligation. You can find more details on commissioning a model on my "About" page. If you want to ask a question about models in general, I'm happy to chat! Please feel free to contact me at svallis@hotmail.com .